At Homes for Students, we provide flexible tenancies for students who need short-term accommodation in Preston. We can secure the most suitable arrangement for you no matter how short your stay, whether it is for a fortnight or the remainder of the academic year. Our student accommodation is situated in a prime location. You could be on a course in the area but studying at a university further afield, or maybe you are on an exchange semester. Either way, Foundry Court is the answer. 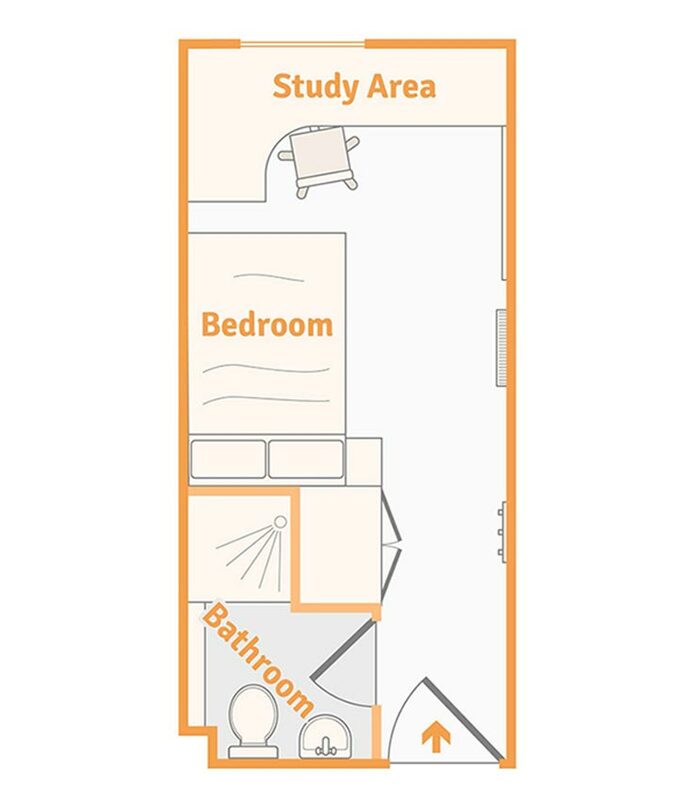 You will enjoy the same facilities and perks as the full academic year student residents at Foundry Court, such as large rooms, high speed Wi-Fi and on-site laundry and bike storage. All utility bills are included in your rent payment, which makes it simple to budget. All en-suite bedrooms come complete with a 4ft double bed and a study area with desk and chair. The room offers generous storage with under bed storage as well as wardrobe space. The en-suite rooms share communal kitchens which residents share with their flat mates. Preston is home to a wide variety of bars, night clubs and restaurants when you venture out of your student flats. The ever-popular Adelphi is a popular pub situated just 5 minutes away from Foundry Court, and has become famous for its heated beer garden! You can then head to the Lamb and Packet, Roper Hall and Grey Friar before sampling a host of trendy bars like Assembly, The Academy and Baluga. To tickle those taste buds you can enjoy independent cafes and restaurants such as Deli Licious and Tiggis, or if you prefer a classic student experience you still can’t go wrong with Preston’s McDonald’s or Subway.